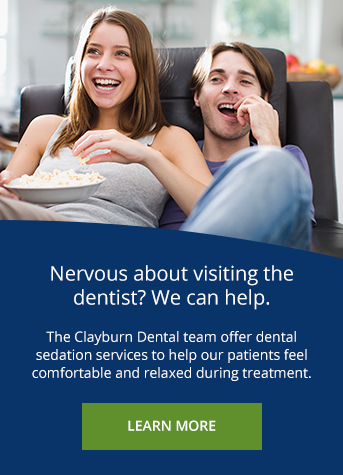 At Clayburn Dental in Abbotsford, our friendly, dedicated, and caring dentists strive to provide the best possible care for patients. Our goal is to ensure the administration of professional oral health care, continuous help and support with improving and maintaining a healthy smile, and providing a positive dental experience every single visit. Dr. Mustafa Ali was born in Edmonton and moved to the Lower Mainland at the age of 15. He completed his undergraduate studies at the University of British Columbia before moving to Michigan to complete his dental education at the University of Detroit Mercy. During his education, many facets of restorative dentistry including cosmetics piqued his interest. Dr. Ali continues to be committed to ongoing continuing education in many facets of dentistry, especially cosmetic dental services and implant dentistry. As your family dentist in Abbotsford, Dr. Ali believes in a patient-centered focus. He believes in a gentle approach in order to alleviate any fears associated with visiting the dentist. In his spare time, Dr. Ali enjoys spending his time with family and is an avid fan of the Vancouver Canucks. Dr. Robert Brandt is a graduate from the University of British Columbia. As an artist and a scientist, he found the perfect blend of both paths in the practice of dentistry where the skillful hand is as important as the focused mind. General practice offers many new challenges and opportunities to help people. It is the interaction with patients, be it relieving their pain and anxiety, creating a new smile, or answering their questions, Dr. Brandt looks forward to each day. Currently finalizing plans for further training in the placement of dental implants, Dr. Brandt has also continued his education in oral surgery, forensics, and advanced prosthodontics. When he isn’t applying his problem solving logic or artistic eye to tackling every day dental concerns, he is busy spending time with his wife Joyelle, their 2 cats (Cloud and Sky), or on one of his many creative pursuits. Although pencil drawings of people have always been the work he is best known for, he also enjoys painting, photography, and creating a myriad of different computer generated artworks. Dr. Kiran Sahi was born and raised in the Lower Mainland and obtained her Dental Medicine degree from the University of British Columbia. She loves practicing general dentistry as every day brings different challenges and the opportunity to meet great people. Dr. Sahi feels it is important to establish a healthy relationship of mutual respect and trust with each individual patient. She strives to provide the best possible dental care to each of her patients and to help them be as comfortable as possible. Dr. Sahi is always looking forward to opportunities which will enable her to enhance her current dental skills as well as acquire new ones in the advancing field of dentistry. She has maintained her commitment to continuing education by participating in various seminars, conferences, and study clubs. When not working, she enjoys activities such as working out at the gym, hiking, snowboarding, and reading. Her future endeavors include traveling with her husband, Sonny. After graduating from the University of Saskatchewan in 2011 with a dental degree, Dr. Atchison spent 3 years working in Saskatoon before coming to Abbotsford. As your Abbotsford dentist, Dr. Atchison enjoys the role as your family dentist and helping you with all aspects of your dental health. Dr. Atchison offers a wide range of services in both preventative and restorative dentistry. She has a particular interest in crowns and bridgework which serves her and her patients well in her role. One of Dr. Atchison’s main goals as a dentist is to help educate each of her patients in oral health and help them to work towards optimal oral health. She believes it is every patient’s right to be proud of and enjoy their smile and teeth. She also feels deeply that she has done her job if each patient walks out of her practice feeling good about the experience they have had while in her care. Dr. Mandeep Toor graduated from the University of British Columbia with her undergraduate and dental degree, while being on the Dean Honours List throughout her education for her academic excellence. She was awarded the Monarch Pediatric Dental Centre Award upon graduation. Dr. Toor is a people-person who enjoys building a rapport with patients and their families to make their dental experience comfortable and pleasant. It is her goal to merge the dentistry knowledge she has acquired with her enthusiasm and passion for the profession, and her dedication to provide the greatest degree of health care to her patients. She enjoys all areas of dentistry and focuses on oral health education. She took part in volunteer dentistry during her education and wishes to continue to do so yearly with dental mission trips abroad. Dr. Toor enjoys hiking, swimming, exercising, travelling, listening to audiobooks, and being around family and friends. Dr. Sandeep Toor graduated from the University of British Columbia on the Dean Honours List with a Bachelor of Science degree in Biology, specializing in Cell Biology and Genetics. She received her Doctor of Dental Medicine degree and graduated with Honours from Oregon Health and Sciences University for her academic and clinical excellence. She has taken part in periodontology and endodontology honours courses at OHSU. She worked in central BC, Salmon Arm before relocating to the Lower Mainland to work alongside her cousin, Dr. Mandeep Toor. Dr. Toor provides a variety of dental services that includes preventive and restorative dentistry. She believes in the importance of communicating with and caring for the dental needs of all patients in order to maintain and improve oral health. She is committed to making her patient's experience in the dental chair comfortable. Outside of dentistry, Dr. Toor enjoys various cuisines, traveling, reading, drawing/sketching, and spending time with family and friends. Dr. Andrea Dwernychuk was born in British Columbia and enjoyed growing up in the Lower Mainland. She obtained her Bachelor of Science degree in Molecular Biology and Biochemistry at Simon Fraser University in Burnaby and went on to receive her Doctor of Dental Medicine (DMD) degree at McGill University in Montreal. After this, she completed a one year residency at the University of Connecticut in the Advanced Education in General Dentistry (AEGD) program. While at the University of Connecticut, she had the opportunity to work with leading experts in the field of general dentistry and learned many advanced dental techniques. Andrea is a very receptive, warm-hearted, and easy-going person who strives for the best in patient care and comfort. She is excited about all the opportunities and advances in the area of general dentistry and wants to be part of a progressive team that provides the best and latest of care to patients. Although being committed to the practice of dentistry, Andrea still finds time to engage in sports, especially volleyball and skiing. She enjoys music and is an accomplished pianist. One of her future ambitions is to dedicate part of her time and energy to provide volunteer dental services to those who are underprivileged both in Canada and abroad. Dr. Alireza Amirbeigi has been practicing dentistry for over 21 years. His professional dental career started with completing his education in 1996 from the Tehran University of Medical Sciences in Iran. In 2014, he moved to Vancouver and is currently a member of the College of Dental Surgeons of British Columbia as well as the British Columbia Dental Association. As a member of Clayburn Dental, Dr. Amirbeigi is focused on providing quality patient care in the area of general and cosmetic dentistry services. He believes in treating patients as he would treat a family member. When making treatment decisions, he strives to always put the patients' concerns first. He enjoys being outdoors, traveling, and spending time with family and friends. Dr. Neeraj Singh obtained his Bachelor of Dental Surgery from Rajiv Gandhi University, Bangalore India. Upon graduation, he furthered his education and completed a Master’s degree in Administrative Sciences in Global Health and Human Services Administration from the prestigious Fairleigh Dickinson University in Vancouver, BC. At the same time, he attained his dental licence from the National Dental Examining Board of Canada. He maintains professional affiliations with the College of Dental Surgeons of British Columbia and BC Dental Association. Dr. Singh practices all aspects of dentistry and is always keen to learn new procedures. He continuously upgrades his knowledge in the field of dental technology, restorative dentistry and aesthetics, and is always looking for new ways to improve the quality of the dental work he provides. He thrives to make sure that all his patients understand their required treatment and strives to ensure that each patient gets the best possible care. In his free time, Dr. Singh enjoys road trips, hiking, and exploring the small towns of beautiful British Columbia with his family and friends.